Winter solstice, the shortest day and midwinter all describe the 24 hours around the annual event which occurs around the 22nd December. The solstice occurs when the angle of the Sun to an observer is at its greatest, southernmost position. The days start to get longer and the nights shorter. The cultural significance is the time of rebirth and renewal and it is celebrated with festivals and rituals. 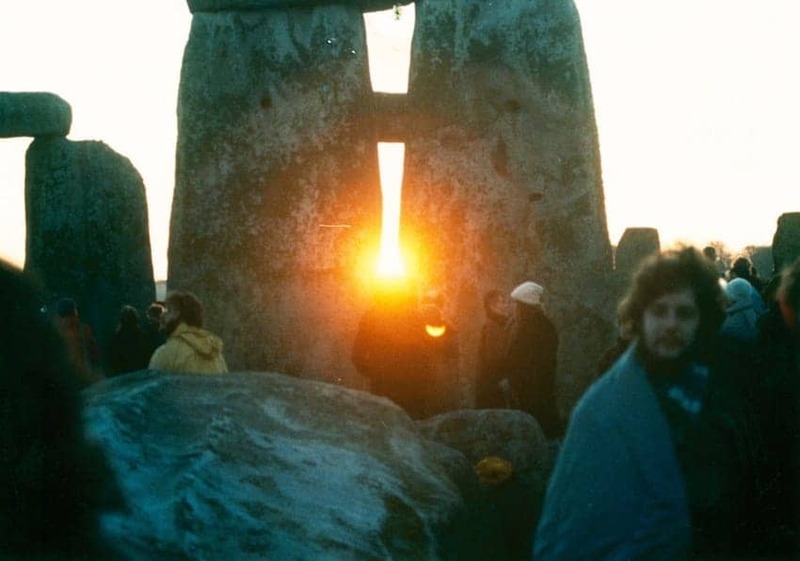 England's New Age Tribes, families, tourists, travellers and party people gather at Stonehenge early in the morning to mark the Winter solstice and to see the sunrise above the stones.